Eduard (MCE) is a talented Java engineer with rich expertise in OOP analysis. He's worked the whole SDLC, from design to maintenance. The newest version of the Java platform, Java 8, was released more than a year ago. Many companies and developers are still working with previous versions, which is understandable, since there are a lot of problems with migrating from one platform version to another. Even so, many developers are still starting new applications with old versions of Java. There are very few good reasons to do this, because Java 8 has brought some important improvements to the language. Stream API for working with Collections. 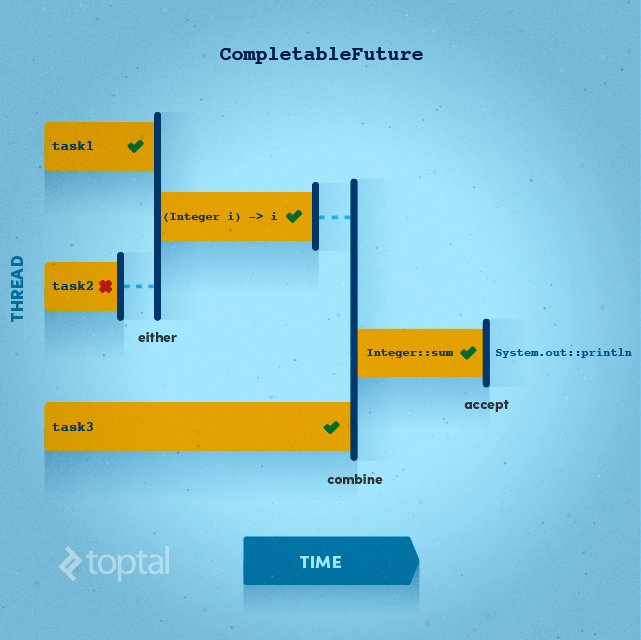 Asynchronous task chaining with CompletableFuture. A lambda is a code block which can be referenced and passed to another piece of code for future execution one or more times. For example, anonymous functions in other languages are lambdas. Like functions, lambdas can be passed arguments at the time of their execution, modifying their results. Java 8 introduced lambda expressions, which offer a simple syntax to create and use lambdas. The structure has many similarities to a function. In parentheses, we set up a list of arguments. 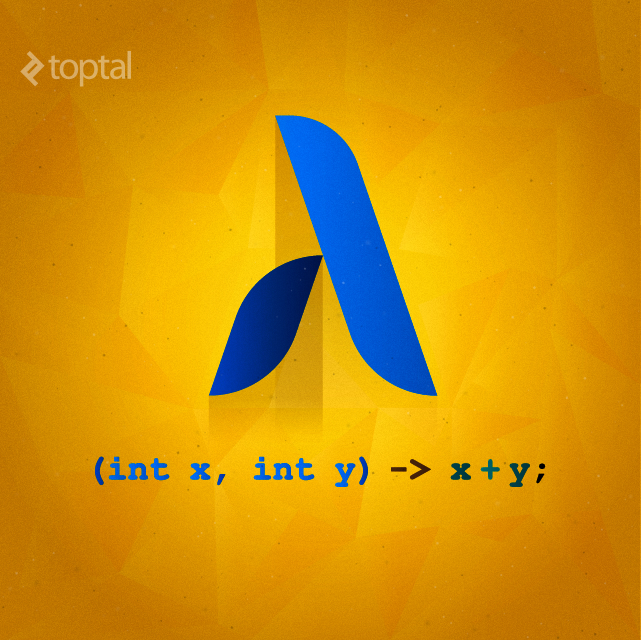 The syntax -> shows that this is a lambda. And in the right-hand part of this expression, we set up the behavior of our lambda. Notice that in these examples, the lambda is being passed in to the sort() method in the same way that the instance of BinaryComparator is passed in the earlier example. How does the JVM know to interpret the lambda correctly? To allow functions to take lambdas as arguments, Java 8 introduces a new concept: functional interface. A functional interface is an interface that has only one abstract method. In fact, Java 8 treats lambda expressions as a special implementation of a functional interface. This means that, in order to receive a lambda as a method argument, that argument’s declared type only needs to be a functional interface. In this case, the methods sendToAndroid and sendToIos are implemented in this class. We may also reference the methods of another object or class. Java 8 brings new abilities to work with Collections, in the form of a brand new Stream API. This new functionality is provided by the java.util.stream package, and is aimed at enabling a more functional approach to programming with collections. As we’ll see, this is possible largely thanks to the new lambda syntax we just discussed. The Stream API offers easy filtering, counting, and mapping of collections, as well as different ways to get slices and subsets of information out of them. Thanks to the functional-style syntax, the Stream API allows shorter and more elegant code for working with collections. Let’s imagine that we need to print all authors in a books collection who wrote a book after 2005. How would we do it in Java 7? And how would we do it in Java 8? It is only one expression! Calling the method stream() on any Collection returns a Stream object encapsulating all the elements of that collection. This can be manipulated with different modifiers from the Stream API, such as filter() and map(). Each modifier returns a new Stream object with the results of the modification, which can be further manipulated. The .forEach() method allows us to perform some action for each instance of the resulting stream. This example also demonstrates the close relationship between functional programming and lambda expressions. Notice that the argument passed to each method in the stream is either a custom lambda, or a method reference. Technically, each modifier can receive any functional interface, as described in the previous section. 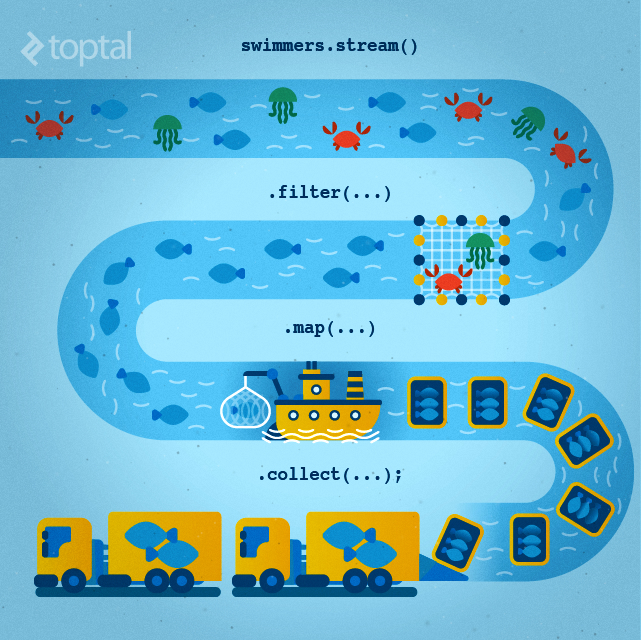 The Stream API helps developers look at Java collections from a new angle. Imagine now that we need to get a Map of available languages in each country. How would this be implemented in Java 7? There are a lot of other abilities of Stream API. The complete documentation can be found here. I recommend reading further to gain a deeper understanding of all the powerful tools this package has to offer. Create an ExecutorService, which manages the execution of asynchronous tasks, and can generate Future objects to track their progress. Create an asynchronously Runnable task. Run the task in the ExecutorService, which will provide a Future giving access to the status or results. In order to make use of the results of an asynchronous task, it is necessary to monitor its progress from the outside, using the methods of the Future interface, and when it is ready, explicitly retrieve the results and perform further actions with them. This can be rather complex to implement without errors, especially in applications with large numbers of concurrent tasks. In Java 8, however, the Future concept is taken further, with the CompletableFuture<T> interface, which allows creation and execution of chains of asynchronous tasks. It is a powerful mechanism to create asynchronous applications in Java 8, because it allows us to automatically process the results of each task upon completion. The method CompletableFuture.supplyAsync creates a new asynchronous task in the default Executor (typically ForkJoinPool). When the task is finished, its results will be automatically supplied as arguments to the function this::getLinks, which is also run in a new asynchronous task. Finally, the results of this second stage are automatically printed to System.out. thenApply() and thenAccept() are just two of several useful methods available to help you build concurrent tasks without manually using Executors. If we examine how Java 8 handles this, we will see that all three tasks will be run at the same time, asynchronously. Despite task 2 failing with an exception, the final result will be computed and printed successfully. CompletableFuture makes it much easier to build asynchronous tasks with multiple stages, and gives us an easy interface for defining exactly what actions should be taken at the completion of each stage. The Calendar class was not type safe. Because the classes were mutable, they could not be used in multithreaded applications. Java 8 finally solves these long-standing issues, with the new java.time package, which contains classes for working with date and time. 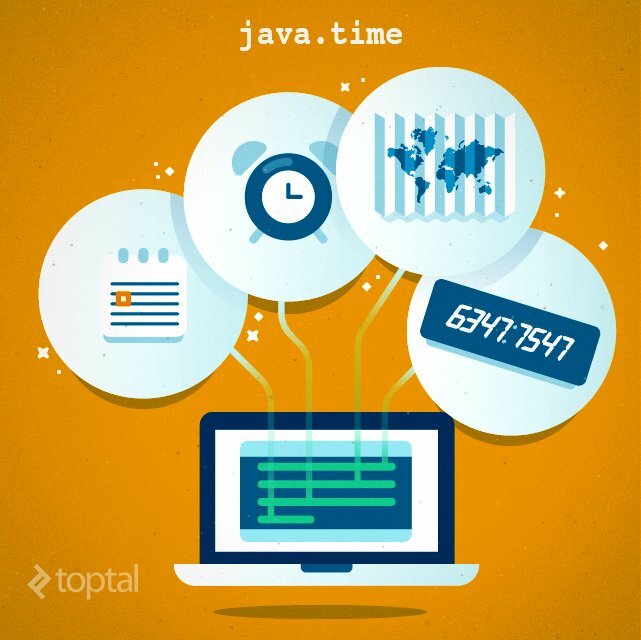 All of them are immutable and have APIs similar to the popular framework Joda-Time, which almost all Java developers use in their applications instead of the native Date, Calendar, and TimeZone. Clock - A clock to tell the current time, including the current instant, date, and time with time-zone. Duration, and Period - An amount of time. Duration uses time-based values such as “76.8 seconds, and Period, date-based, such as “4 years, 6 months and 12 days”. Instant - An instantaneous point in time, in several formats. LocalDate, LocalDateTime, LocalTime, Year, YearMonth - A date, time, year, month, or some combination thereof, without a time-zone in the ISO-8601 calendar system. Find the first or last day of the month. Find the first or last day of the next or previous month. Find the first or last day of the year. Find the first or last day of the next or previous year. As we can see, Java 8 is an epochal release of the Java platform. There are a lot of language changes, particularly with the introduction of lambdas, which represents a move to bring more functional programming abilities into Java. The Stream API is a good example how lambdas can change the way we work with standard Java tools that we are already used to. Also, Java 8 brings some new features for working with asynchronous programming and a much-needed overhaul of its date-and-time tools. Together, these changes represent a big step forward for the Java language, making Java development more interesting and more efficient. Eduard is a talented software engineer with rich expertise in object-oriented analysis and design and experience participating in all facets of the software development lifecycle, from analysis and design to implementation and maintenance. Also, performance is always a good reason to upgrade. As a rule of thumb, the latest release of the JVM will always be the best one, so even if you're not planning to take advantage of the new code structures, just use it in production for performance. Great article. About the first example of Stream, I guess it could be written as this: books.stream() .filter( book -> book.author != null && book.year > 2005) .forEach( book -> System.out.println(book.author.name)); You may say it's similar to the for loop style, but it will be easier for people to compare the two styles, and many (like me) would definitely love the functional style. Thank you. You are right, you may do like you write. But i try to show how the Stream allows developers to modify and filter objects using its powerful API. Thanks very good article especially Stream API, CompletableFuture and Lambda Expressions. Hi, Thanks for the nice article with good presentation. I just got confused with your comments on the line ".filter(book -> book.year > 2005) // filter out books published in or before 2005". I hope the filter will filter out the books published after 2005 and the mapping will be performed on these filtered items. The picture also represents that the mapping is done on the non-filtered items. May be Im not understanding it properly...please correct me if Im wrong. Yes, you are right. Filtering will produce stream with books which was created after 2005.